program is best for you. If time is short and you want a quick detox that will put you back on the road to excellent health then you should try the 3-day detox. Our latest 3-Day, plant-based, at-home cleansing program provides you with everything you need to complete a life changing transformation in the privacy of your own home. Let Healthy Living Journey's O'So Juicy Bar make all the juices for you. A great follow on program from the 3-day juice detox. A total kick start on the health front that provides the right mental motivation to get you inspired, motivated and mentally juiced! The plan is made up of juices, smoothies, soups, and salads. It also contains the right 'mental juice' to kick start your journey to supreme health and get you exercising on a daily basis. We have a simple, effective, proven program for clean eating, detoxing naturally, nutrition and coaching. 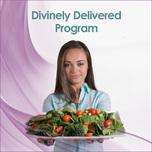 This program is designed to give you the basic knowledge upon which to build a strong foundation for your health and achieve a natural state of radiance, energy, and balance. You will be able to use this program again and again as you deepen your understanding of your own needs for cleansing and optimum wellness. "This is not a diet, it is a plan to UPGRADE YOUR LIFE!" 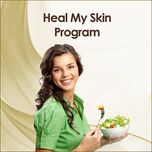 The purpose of this program is to show suffers of eczema and psoriasis how to holistically heal their skin. This program will accomplish this through; repairing the colons, rejuvenating the gallbladder & liver, revitalizing the kidneys, and renewing the cells. Do you desire to get inside the head of someone that’s transformed their health to learn how they did it first hand? Do you want to learn how to redefine your relationship with food and your body in a way that is empowering and sustainable? Do you desire hands-on instruction in a private, supportive environment?